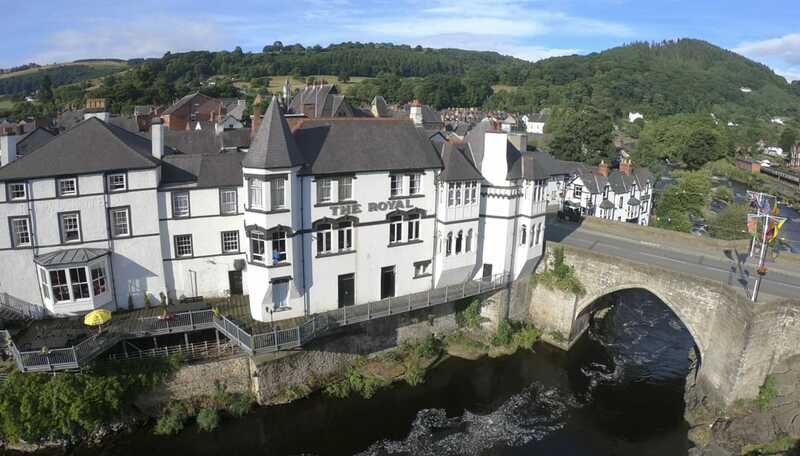 After spending a wonderful day exploring this stunningly beautiful part of Wales, it is time to make your way to one of our tastefully furnished and comfortable rooms. The Royal Hotel retains the style and grace of a bygone era while seamlessly incorporating a flair for the contemporary. Enjoy a peaceful night’s sleep in cosy, well appointed bedrooms with unmatched views of the rolling hills and the spectacular River Dee. All 33 of our rooms are en-suite, include a full cooked breakfast and sell at very reasonable prices.